Anyone else ready for spring? I know we are! There is nothing better than beautiful spring weather, the birds are chirping, the sun is shining & the weather is in the 70's! Springtime means it's time to spruce up your child's wardrobe with lighter, brighter colors, even fun patterns & prints! Spring is a great time to get outdoors & have an adventure, enjoy Spring Break with a family vacation or have an Easter celebration! 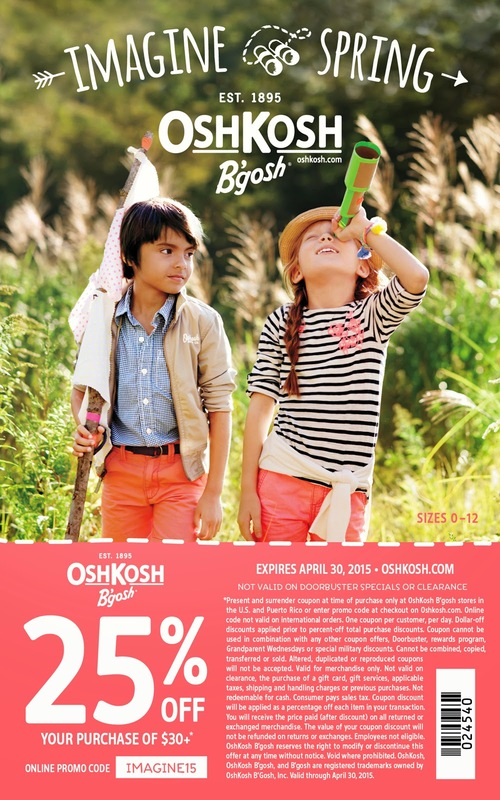 OshKosh B'Gosh has everything you need for a new spring wardrobe for your child! OshKosh is the place to go for a new spring look, you will find clothing, accessories, shoes, even active wear for boys & girls! They offer stylish clothing grounded in an authentic American heritage & the belief that kids have fun being kids. You probably know OshKosh for their classic denim & World's Best Overalls, but did you know that they have a whole new assortment of fashionable looks for spring? I bet you will find great pieces of clothing & accessories that you & your children are sure to love! 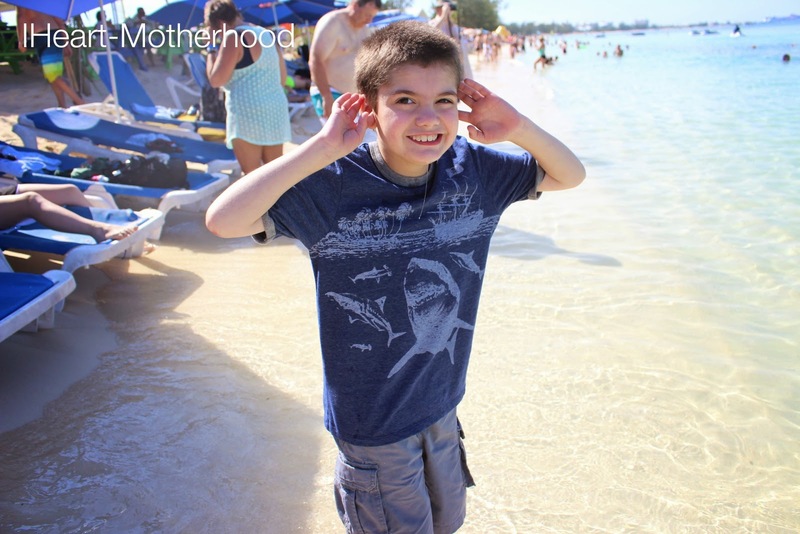 I love shopping at OshKosh B'gosh for my children, I have a store pretty close to me so I stopped in & checked out their Imagine Spring collection! I was so excited to find bright colors & new prints, just in time for spring weather! For my daughter, I picked out the Bon Voyage Boatneck Top, Striped Chambray Tunic, Embellished Sleeveless Top, Printed Capri Leggings, a pair of Solid Capri Leggings & the Fantastic Top! I chose pieces that would be easy for her to mix & match but also comfortable, OshKosh girls are available in sizes 4 all the way up to 12! I was so happy to see bigger sizes in store for boys at OshKosh, my son is wearing some 10's & 12's, sadly this maybe the last year he's able to wear OshKosh & it breaks my heart! I still remember his first pair of OshKosh denim overalls, they sure do grow up fast! Anyways, on to what I picked out for my big guy, a Striped Pique Polo, another Pique Polo (solid color), Nautical Ringer Tee, Cargo Shorts & a pair of Printed Flat-Front Shorts. Again, I chose pieces for him that he could mix & match, as well as be comfortable in, plus I love seeing him in blues! I couldn't be happier with the new clothes I picked out at OshKosh B'gosh for my children, we've been huge fans of this brand for years. My children always look great in their clothes, they are comfortable, stylish, durable & affordable, everything that this single Mother wants in a clothing brand & more! So what do you think? Are you ready to do some spring shopping? Be sure to visit your local OshKosh B'gosh Store or you can shop online at the OshKosh B'gosh website! You can stay connected with OshKosh B'gosh by following them on Facebook & Twitter! Ok I might have to shop online! Those are cute clothes, (I have a little boy), but I sure wish we had a store here! So happy to see this. This reminds me that I have a gift card I need to use and it's perfect now that a coupon is being offered. I love shopping there! Such cute outfits that are great quality! Thanks for the coupon! OshGosh was the place to shop when Boy was an itty bitty. Glad to see they're still around. 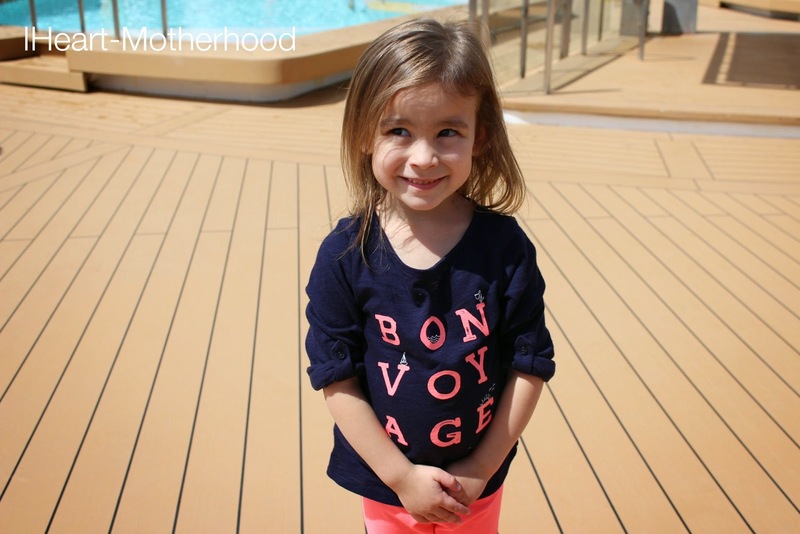 I want a Bon Voyage shirt in my size - so cute!